This gorgeous jacket style dress is made by Mary Skotnicki. Has excellent stage presence. 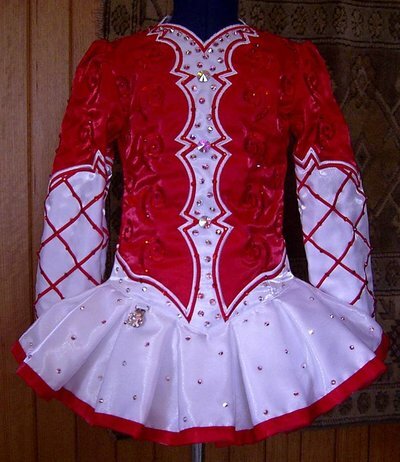 Made from twinkle satin, bright red material and has red embroidery, full of AB and red crystals. 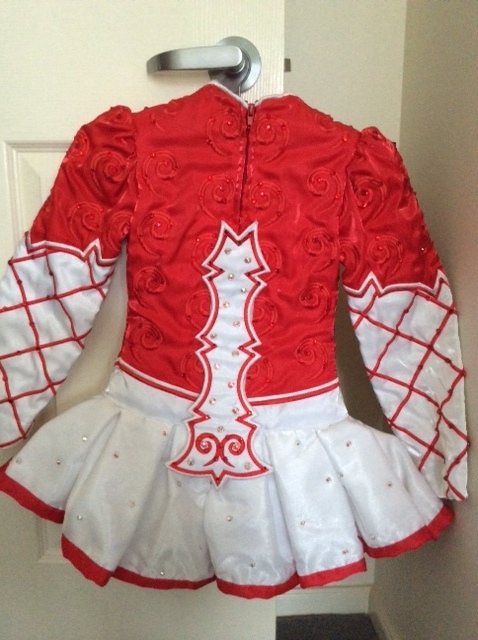 Excellent condition comes from smoke free home, Comes with white kick pants and red bow. 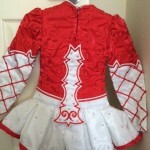 There is about 2″ – 3″ let out in the bodice, 2″ letdown in the cuffs, and 3″ letdown in the overall length. Asking Price: $AUD780. Shipping costs are included for my own country, overseas shipping is extra. Sale is final.